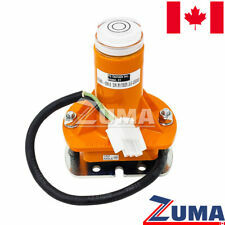 JLG 91484028- NEW JLG LATCH, PADDLE Handle - STOCKED IN CANADA!! 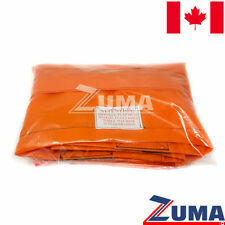 NEW JLG Control Box Cover - STOCKED IN CANADA!! Brand new ingersoll rand 18. 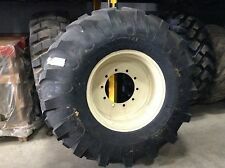 4X24 Tire & Rim (Titan Tire) Fits 708. 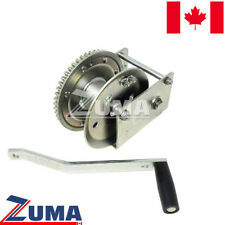 Genie C61100200, C61100200GT - NEW WINCH,HAND,5.1:1,1500LB - STOCKED IN CANADA!! 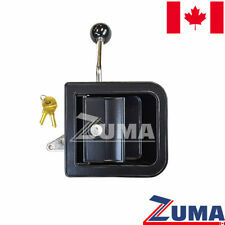 JLG 4360465 - NEW JLG TILT SWITCH/ SENSOR,1.5 DEG TILT - STOCKED IN CANADA!! THIS is a brand new Genie OEM part , please have a good look at the pictures and part number , any parts we have for Genie are listed in our store, we will combine shipping to save you money. 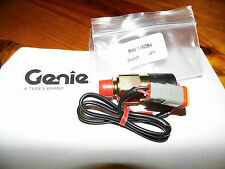 Genie 56057, 56057GT - NEW Genie 12/24V Ignition Module - STOCKED IN CANADA!! OVERHAUL GASKET KIT NISSAN J15 ENGINES. Caterpillar 091-8318 Forklift Wheel Cylinder ! NEW ! NEW UNIVERSAL VINYL FORKLIFT SUSPENSION SEAT FITS TOYOTA. In such cases, having a good seat is more than important. Not only will you work better and more comfortable, your efficiency may also be promoted. 24 Volt Forklift Kit 24 Bottles. 36 Volt Forklift Kit 36 Bottles. 48 Volt Forklift Kit 48 Bottles. Includes Enough Liquid Solution to Fix 24 cell batteries (48 volt) Batteries. Fixes 24 cell Batteries (48 Bottles). NEW Toyota Forklift Seat - Bottom Cushion Only. is the bottom portion of your toyota forklift seat worn, Simple to replace it. Toyota seat bottom. Part# 4119634. Forklift Repair Mast Kit. (see photo for what parts are included in the kit). No handling fees. WATER PUMP BOBCAT 642B FOR 32HP MITSUBISHI ENGINE GASOLINE11 sold 14 8-1120. 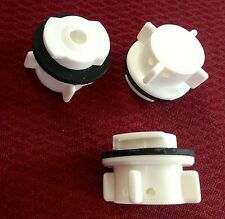 IF YOU NEED FUEL PUMP SEE BELOW. MATCH YOUR PUMP TO PICS. PRAMAC LIFTER. DOUBLE GALET COMPLET. Trending at C $116.33eBay determines this price through a machine-learned model of the product's sale prices within the last 90 days. Series: 392-01 Models: H20 H25 12/2012. Series: 393-01 Models: H25 H30 H35 12/2012. Series: 394-01 Models: H40 H45 H50 12/2012. Series: 387 Models: E20 E25 E30/35 11/2013. We accept no responsibility on the correct operation and usage of this item. Pour TM2000. RESERVOIR COMPLET HYD RAULIQUE. Zenith part Number:14039B. New carburetor for a lift truck. But we do not take used, installed or disassembled parts back. We'll be very glad to help you. Important Note. 1464842 Hyster Forklift, Service Manual. 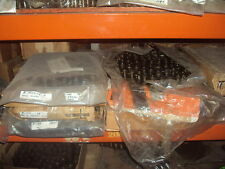 We are a surplus warehouse and have many great parts for great prices. Dont like the Price?. FOR TCM FORKLIFT TRUCK. We'll be very glad to help you. Water Pump. 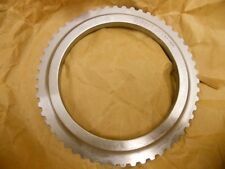 All manufacturer’s parts # are used to identify the product application purpose ONLY. But we do not take used, installed or disassembled parts back. GALET POLYURETHANE. axe de 20 MM. diamètre 85 mm. largeur hors tout 100 mm. UNE FACTURE SERA JOINTE SUR DEMANDE. 18096, Starter. Hyster, Mitsubishi, Yale. Hyster: 2314322, 2315322. Hyster Lift Trucks H-25XL Mazda FE Engine 1998. Hyster Lift Trucks H-25XM Mazda FE Engine 1998. Hyster Lift Trucks H-35XL Mazda FE Engine 1998. Crown Decals 13.5 " X 3" is the size of the Crown Decals. 2 sheets of Safety decals. Toyota 8 Series Forklift Decals. Light Grey in color. Complete set for your 8 series Toyota forklift. 1 Toyota on counter weight decal. 2 sheets of safety decals. 2 mast decals. 2 hood decals. CURTIS Model:1244-5651. - Logic input current: 10 mA. - 1 x User manual. - Internal and external watchdog circuits ensure proper software operation. - Continuous diagnostics during operation,with microprocessor power-on self-test. 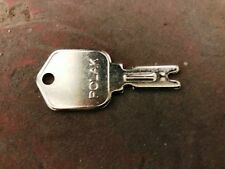 Make sure the part you are purchasing from Forklift Headquarters is the correct part for your project. part for all your needs. crate 11 box 3. 2 Genie Scissor lift Decals. 4 1/2 in (Length). 2 Genie Decals about 11 1/2 in (Length). Genie Scissor lift. Quality vinyl, durable to last 7 years in weather.